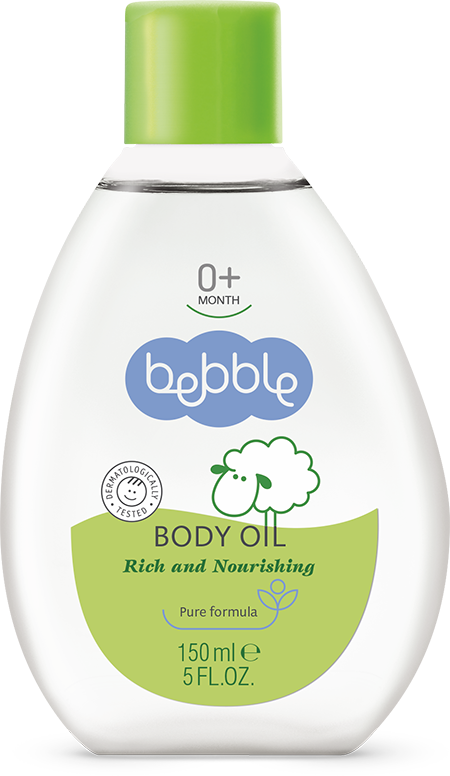 The indescribable sensation of the touch of baby-soft skin can only be matched by bebble’s smooth and gentle body cream. 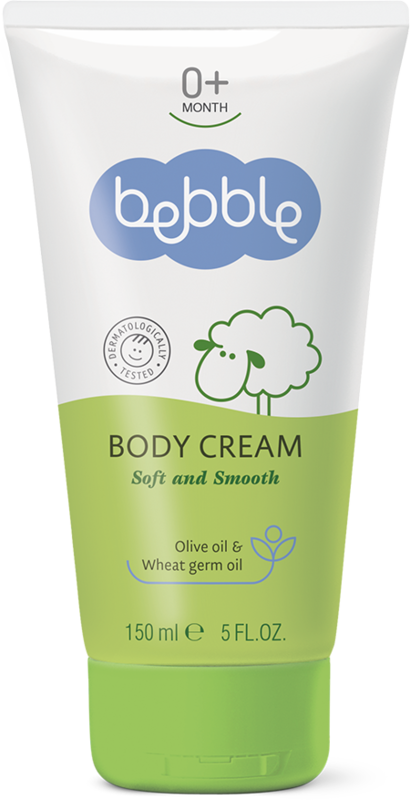 Ideal for daily nourishing and hydration of baby’s skin, the cream smoothes out easily and absorbs quickly, without leaving greasy traces. Its special formula is rich in natural oils that help nourish and soften the delicate baby skin, and provide protection throughout the day. Daily protection, moisturising and nourishing care helps to keep your baby’s skin soft and healthy. After bathing, gently pat dry your baby’s skin with a soft cotton towel or muslin square. Warm a small amount of cream between your palms, and smooth all over baby’s body with gentle massaging movements. Wheat Germ Oil is an absolute champion in terms of natural vitamin E content. It is also rich in other vitamins (А, B, D, F, PP), pantothenic and folic acid, omega-fatty acids and beta-glucans; substances that stimulate the skin’s natural protection against microbes, pollution and UV rays. Also know as pro-vitamin B5, D-panthenol gives the skin a soft and smooth appearance. 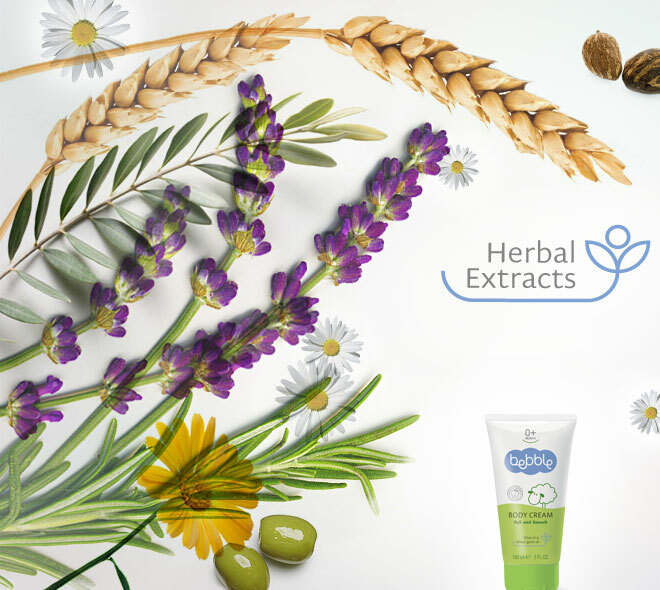 It penetrates the outer skin layer and maintains the skin’s natural moisture balance, whilst at the same time stimulating cell growth and regeneration. Vitamin E is the most effective antioxidant. It helps to strengthen the immune system and is essential in maintaining the elasticity and vitality of the skin. It reduces the harmful effects of the sun and provides additional protection of the skin.